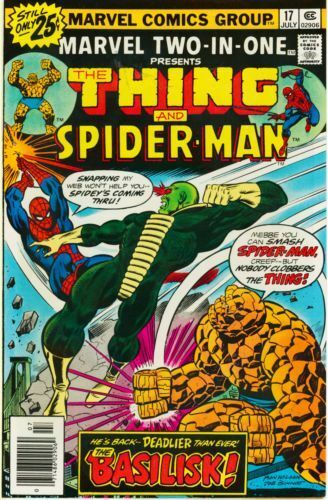 The Thing battles Basilisk in the Savage Land and the villain teleports the both of them into the heart of New York City. Spidey returns from his time jaunt to discover an active volcano spitting lava into the Hudson River. He investigates and discovers that the Basilisk has felled the Thing and is preparing to destroy the city.